Let’s kick off by stating that there are a ton of benefits to playing a musical instrument. Whether you’re an adult or a child, learning how to play a musical instrument can transform your life, regardless of whether you’re practicing as a hobby or because you want to choose music as your career. These 12 benefits to playing an instrument are sure to set you on the right path. Let’s start with one of the most extensively researched benefits that is that playing an instrument is proactive in reducing the levels of stress in your body and, therefore, in your life. Taking the time out of your day to breathe, focus on one activity and just generally taking a break from everyday life while doing something you love, it’s only natural that your stress levels are going to plummet. While reducing stress, learning and playing an instrument is a great way to increase your productivity. It takes mental willpower to put your smartphone down and pick up an instrument instead, and this kind of discipline will reflect on your everyday life. Who could have thought that picking up a guitar could teach you the necessary skills to keep your room tidy? For many of us, confidence is a big issue, and the concept of standing on a stage, no matter how big or small, and performing our music is a daunting one, to say the least. The best thing about guitars is that they come in all shapes and sizes. There are even tailored electric guitars for small hands. There are no excuses when you decide to commit to finding a good instrument! Even if you don’t perform in front of a crowd and only practice at home, this very act alone can-do wonders when it comes to boosting our confidence. Let’s say that you’re playing your instrument and your friends love what they hear so much that you all decide to start playing in a band. This requires a lot of team skills, especially since several unique individuals are all trying to stay in time with each other while concentrating on what they’re doing. This is a great skill to introduce to your life and can benefit you in everything you do. If you’ve ever heard the statement that playing music can make you smarter, you might have dismissed it, but there’s now more evident than ever before to back-up this claim. When you’re playing or listening to music, your brain releases chemicals known as BDNF, synapsin I and CREB. These have all been proven to strengthen your mental capabilities and physically grows your brain. Try thinking of music as a kind of fertilizer and nourishment for the garden that is your mind. We’ve all seen movies where a couple of friends are hanging around a campfire, swigging beers and usually playing guitar fingerstyle. The truth is, this appears as such a stereotype because it’s what people do. Whether you’re sitting at home with friends or down your local bar, why not grab your guitar and shed a little light through music into your social situations. Be prepared to take requests! There is extensive research into the fact that music is incredibly beneficial to the memory functions of your brain. This is why children look to say the alphabet in song form, and why you can remember the lyrics to that song you haven’t listened to in 20-odd years. One study of 15 children who had never had music lessons were able to increase their memory functions by as much as 34%, all by trying to learn an instrument! Music has been a part of human culture for hundreds, if not thousands, of years and is a foundation for the human race. Using your chosen instrument, such as drums, you can explore varieties of music from all kinds of eras, allowing you to become educated in these cultures and appreciate its roots. To be able to play music, you’ve got to be able to hear it. That doesn’t mean just listening to it. It means tuning into the music that you’re playing, focusing on every single note to ensure it’s the message that you’re trying to communicate. It’s safe to say that with years of training under your belt, your listening skills in day-to-day life will improve dramatically. 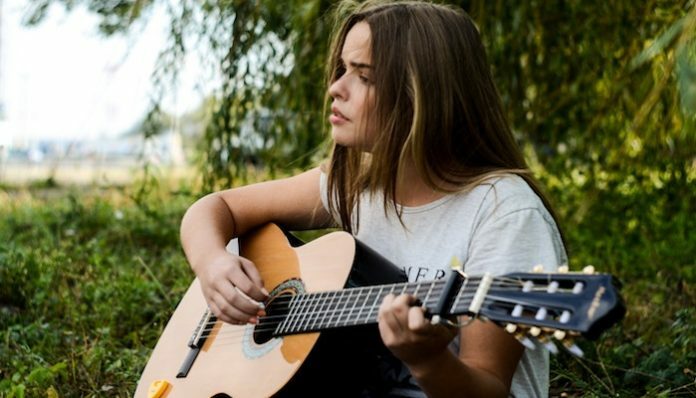 Since music can help with all kinds of issues relating to depression, anxiety, and stress, being able to express yourself in such a unique way, it can become both extremely therapeutic and healing to both your mind and your body. After all, how would venting about an annoying co-worker in the form of rocking out in your garage not be good for the soul! Regardless of what instrument you’re learning to play, you’ll be actively improving your hand-eye coordination motor function skills at the same time. When you’re focusing on singing, your track list, the crowd and keeping track of where you are in the song, being able to use your body effectively in these high-pressure moments will reflect into every aspect of your life. Finally, to conclude our list of benefits of playing music, there’s the most obvious point that playing an instrument is fun! Whether you’re in your bedroom rocking out on your own, loving life with friends or loved ones or performing to a crowd of thousands of people, music can help you feel alive.